Morton Brothers Motor Sports finished the season at a respectful 6th place in points with 1901. At Battle for the Belts, the team had the opportunity to go to the semi-finals. They qualified with 4.077 seconds at 176mph to take the 9th position. The team has made several horsepower gains this year and is looking forward to making even more over the winter for next season. Elijah says, "I would like to give a special thanks to Allen Competition Engines and to the Morton Brothers Motor Sports crew members, Glen, Mike, Grant, and Eddie, for all their support and hard work throughout this season."" Elijah had a new car for the 2011 racing season! Check out more photos in addition to the one below in the Event Gallery at the top of this page and click on 2011! Photos courtesy of Roger Richards and Competition Plus. 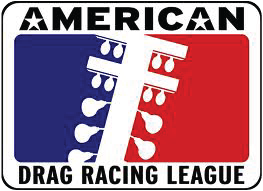 The American Drag Racing League (ADRL) has competitions throughout the year in cities like Rockingham, NC, Millington, VA, and Baytown, TX, and others. Elijah Morton races in the Extreme Pro Stock category for this league. In this category, the car and driver must weigh at least 2425 lbs at the end of the race. Drivers must hold a valid IHRA or NHRA license, complete a physical, and the car must meet all ADRL engine, body, and safety requirements. For more about the ADRL, visit www.adrl.us.